Set of 3 Nessie Ladles Only $7.50! You are here: Home / Great Deals / Amazon Deals / Set of 3 Nessie Ladles Only $7.50! These are the cutest ladles and I really like that they stand! 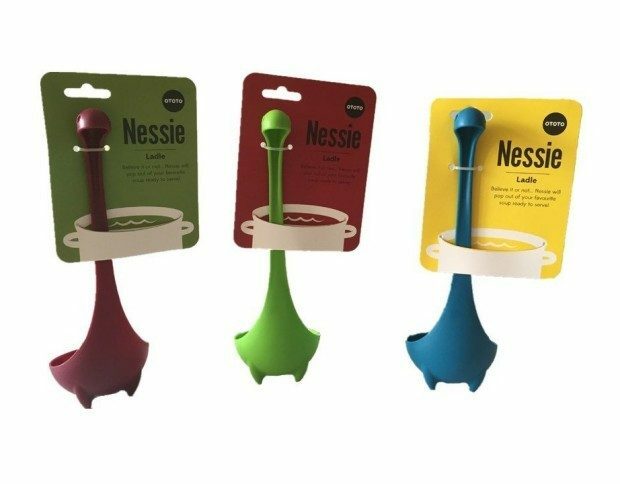 Head over to Amazon and get the Set of 3 Nessie Ladles for Only $7.50! Convenient :The Nessie Ladle has feet to keep it upright inside or outside of the pot.